Doing your own landscaping can be a lot of fun, and it’s a great way to get creative and inject some brand new life into an outdoor area. These days there are so many different styles, materials and options to choose from, which means the sky is the limit. If you can imagine it, you can turn it into your very own work of backyard art. But sometimes it can be difficult to know how to turn your outdoor space into your own work of art, especially if you don’t have much experience. Just like any other designer out there, doing your research and filling your creative bowl up with inspiration is a critical part of the journey. Throw in a little technical know-how and landscaping tips, and you’ll be on your way to a perfect result. Where do you start? We’ve put together our best landscaping blog posts to give you a strong foundation from which to get moving. Amazing new garden inspiration, tips for maintenance and plenty of landscaping ideas await. Read them all below before you step foot out that back door! Start here for a landscaping 101 for gardens in Melbourne. Our beautiful city endures some very distinct weather patterns which can affect what’s best to grow and when. Baking hot sun, extended times without rain, sudden downpours mean sunglasses and a raincoat are standard issue at all times. Discover which garden elements excel in our strange environment, what plants love our soil and how to tackle your landscape based on which side of Melbourne you live on. Lastly, find out what you absolutely must avoid – it will save you plenty of money and frustration later. Gorgeous garden inspo starts right here. We’ve hand-chosen our favourite garden ideas to turn your outdoor area into something special. 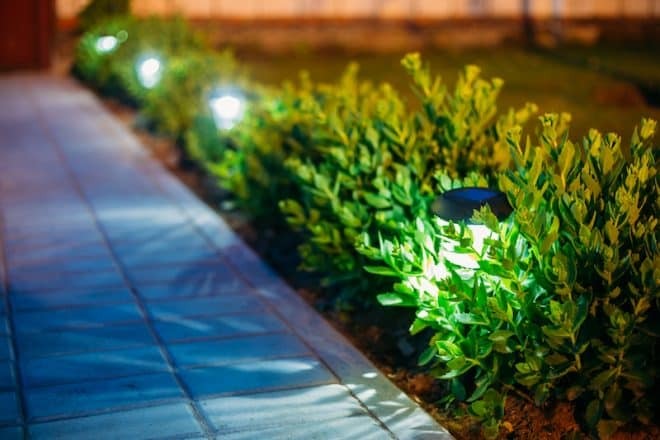 All of these suggestions will give your garden a unique and distinct look that will help it stand out to your family and friends. It includes ideas from large-scale remodelling all the way through to short, sharp and shiny techniques to give your garden the wow factor it deserves. We promise one of these 11 will take your garden to the next level. In fact, number four is a guaranteed game-changer when it comes to building a new garden that stands out from the crowd. How do you get started landscaping if you have no experience? What’s the best way to plan your project? Which pitfalls should you look out for? We’ve saved you the costs and time it can take to learn from your mistakes by giving you our best tips and tricks here. All it takes is knowing the right approach. Everlast’s landscaping experts have been transforming gardens for over 20 years and they present to you their handy advice. You will definitely thank yourself later when your finished product ends up looking good as gold. Here in Australia we no longer have a whole acre to play with like our predecessors, but that doesn’t mean you can’t create an outdoor space to impress. If you don’t have enough room for a swimming pool or tennis court, don’t stress! Less can definitely be turned into a plus with the right landscaping choices. The specialists at Everlast reveal how to be bold, what to place where and how to embrace the size of your yard for maximum appeal. Don’t attack a tiny garden without reading this first. Ah, the perfect lawn. You can spot it a mile away, with its vibrant colour and welcoming finish. You just want to roll around in it and enjoy it all summer long. It might seem like the impossible dream, but a healthy and well-maintained lawn is more within your grasp than you might think. The true secret is in working smarter, not harder. Knowing the right techniques and tricks for better lawn care will have you sitting back and enjoying your yard more often, instead of worrying about cutting it. Check out this lawn care guide for clever ideas to safeguard your spread from nasty weeds and keep it looking amazing in every season. These posts will give you all of the handy inspiration, advice and ideas to get your DIY project started right. You don’t need to be an expert to do your own landscaping, but it pays to find out how to approach it properly. Giving your new garden the attention it deserves will result in a landscape you and the family can be proud and enjoy for years to come. For more tips take a look at this post from Homely on How to Upgrade Your Kerb Appeal for Under $5K, or contact Everlast Services today.